Hammocks have become popular for camping, but overnight ‘freeze-outs’ deter many from spending the whole night in the trees. 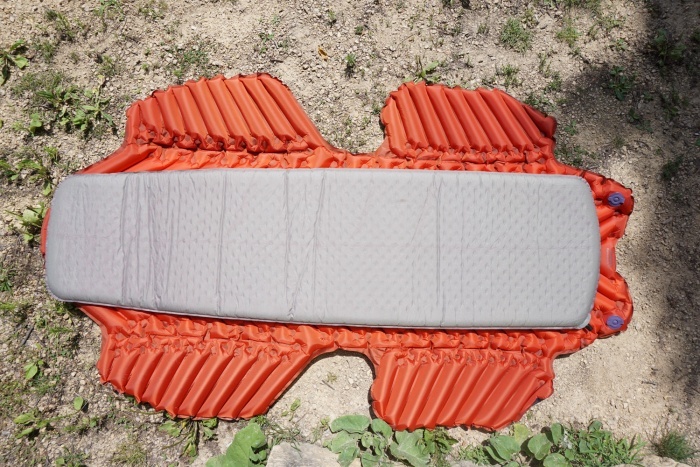 So Klymit decided to make a hammock-specific, insulated sleeping pad. “My hips and shoulders got cold.” This is the most common thing I hear from new hammock campers using a sleeping pad as insulation. Kylmit, a company known for its sleeping pads and bags, jumped into the hammock world to help eliminate those cold spots. 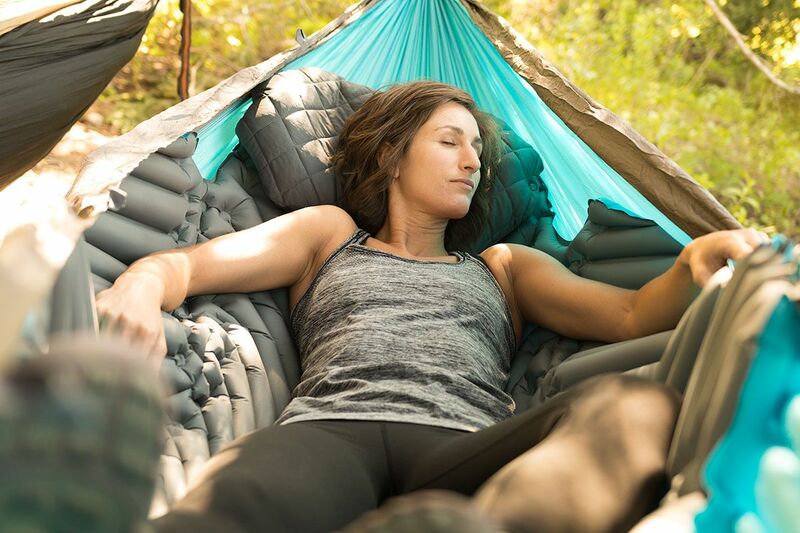 Klymit’s hammock-specific mattress pads have fold-out flaps that add extra coverage (read: warmth) around your hips and shoulders to avoid cold spots. After several tests, I can confirm it works great. In short: The Hammock V pads are big, comfy, and warm. With that comes a tradeoff of weight and packability. 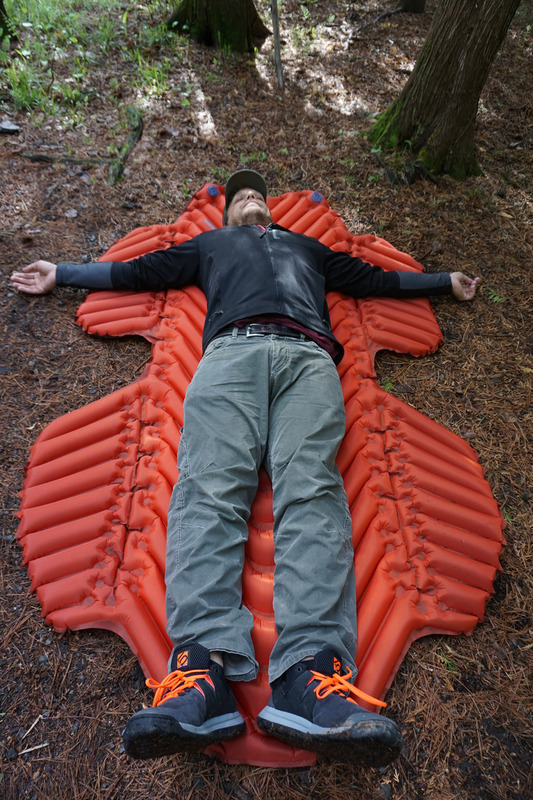 These pads are meant for hammocks, but they do double duty and work great on the ground as well. For the past few months, I’ve tested both the $170 insulated and $140 non-insulated versions. 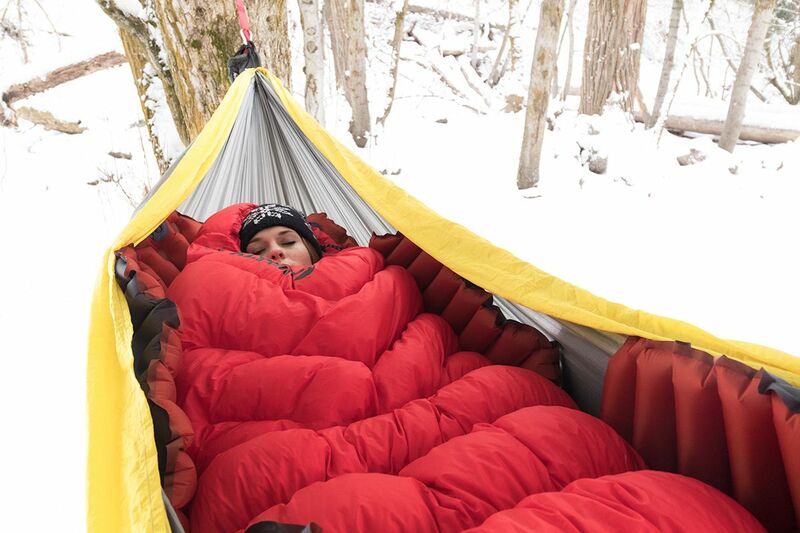 As a cold sleeper, I prefer the Insulated Hammock V on all but the warmest nights. 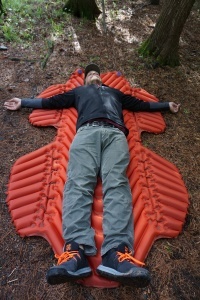 I slept comfortably down to 25 degrees Fahrenheit with the pad and a 15-degree sleeping bag. Below that, I’d opt for a different bag or more insulation underneath me. This sleeping pad is huge! It’s nearly four-feet wide in places. An unforeseen benefit of such a wide pad is that it really opens up your hammock, making it super comfy and roomy. Speaking of comfort, it’s a plush 2.5-inches thick. That thickness, coupled with the insulation, gives it a high R-value of 4.4. Downside: The drawback to a huge pad is its packability and weight. In its stuff sack, it measures 5×10 inches and weighs two lbs. There are certainly smaller and lighter insulation options for hammock campers looking to cut weight or do long backpacking trips. Hammocks have a way of wiggling a pad out from underneath you. I’ve slipped off my pad a few times during the night. I remember one morning I woke up and peered across the campsite to see my friend’s pad sideways and sticking straight up in the air. I’m sure he was chilly. 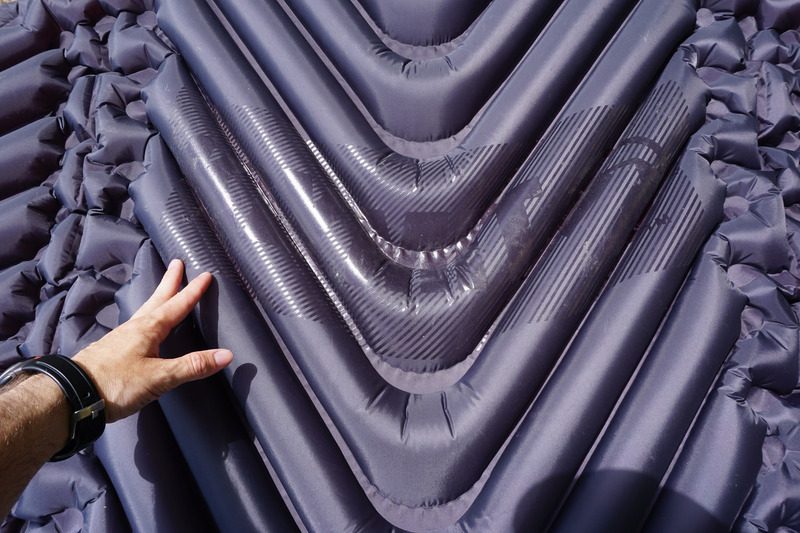 To remedy this, Klymit added a thin layer of silicone to the top and bottom of the pad. The “non-slip zones” are a design element that seems small but makes a big difference. This silicone strip keeps you on the pad and the pad in the hammock as you sleep. Many core hammock campers use an underquilt. Like everything it comes down to budget, packability/weight, and personal preference. I’ve used and like both. The obvious benefit is that a pad will work on the ground as well. I fear the day I pack my underquilt and get to a site to find it treeless! 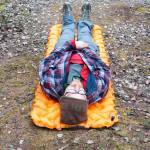 I tested the Klymit V Mattress Pad in my tent and it worked great. It’s essentially a wide version of a normal pad. 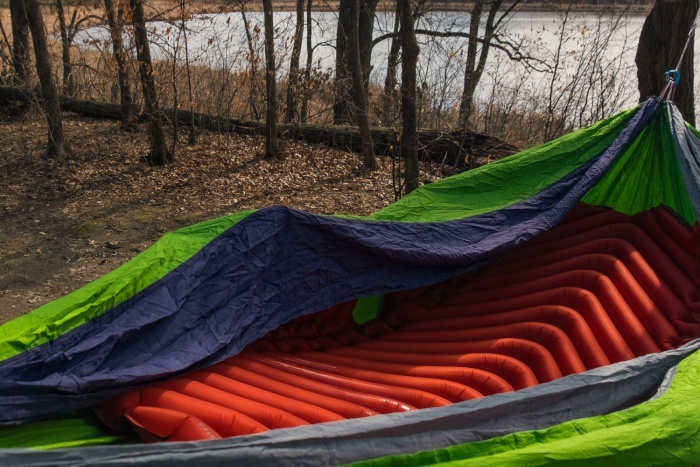 Bottom line: If you want a pad that does double duty in the hammock and in the tent, consider the Hammock V. Moreover, if you’re committed to using a mattress pad with your hammock you may as well get one that works well. For general hammock camping, this pad is a solid choice.